■ Title: How possible are “system transitions” consistent with global warming of 1.5? 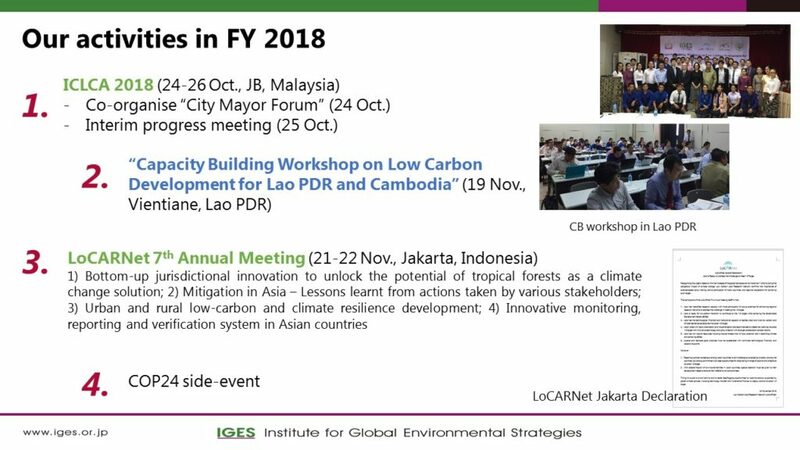 In October 2018, 48th Session of the IPCC accepted the Summary for Policymakers of the “Global Warming of 1.5℃: An IPCC Special Report on the impacts of global warming of 1.5℃ above pre-industrial levels and related global greenhouse gas emission pathways, in the context of strengthening the global response to the threat of climate change, sustainable development, and efforts to eradicate poverty”. In C2 of this Summary for Policymakers, it states with high confidence that “[p]athways limiting global warming to 1.5℃ with no or limited overshoot would require rapid and far-reaching transitions in energy, land, urban and infrastructure (including transport and buildings), and industrial systems”. This side event feature a keynote speech on the special report on global warming of 1.5℃ followed by brief introductions of on-going transition research and actions in various fields, as well as discussions on whether the stated “system transitions” are possible. 13:25 – 13:35 (10 min) Transition of energy intensive processing industries: How do we deal with GHG emissions that have the most impact? Panel discussion: How possible are “system transitions” consistent with global warming of 1.5?